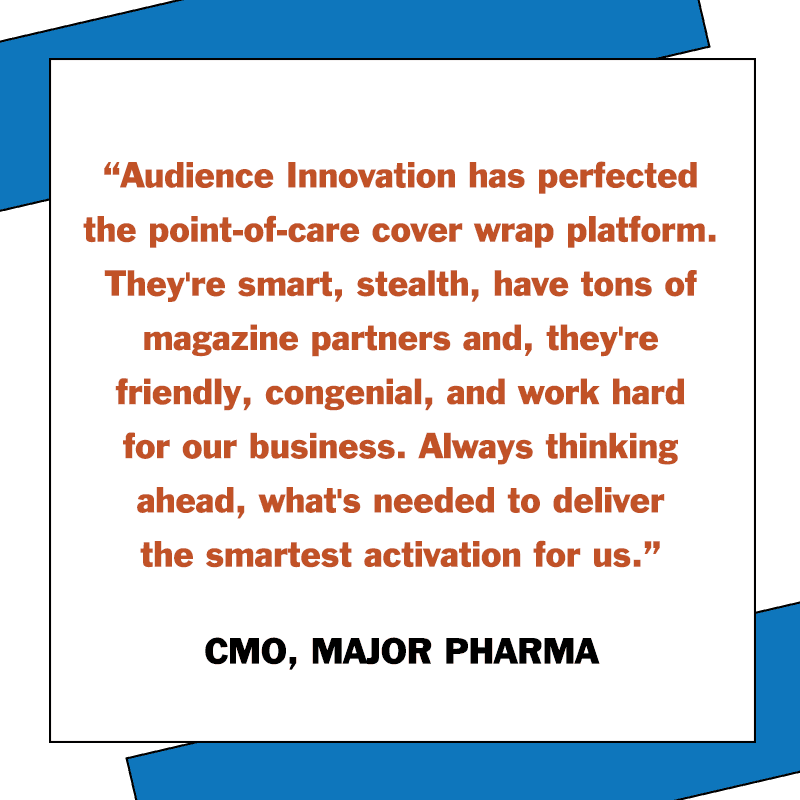 Adept marketers engage our magazine cover wrap marketing & interactive digital platforms to drive tangible impact with their most vital patient targets and, integrated with online platforms, to cultivate and engage patients at point-of-care with their doctor or nurse. 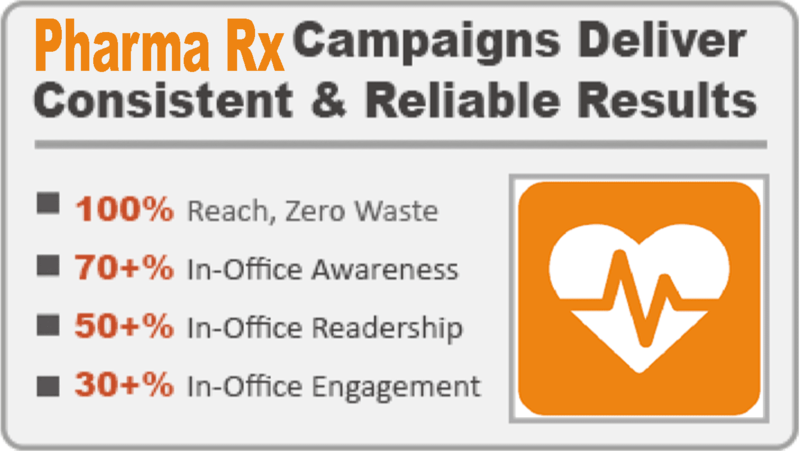 Typical platform response analytics deliver these results, which vary based on target, timing, and message and Rx objectives. 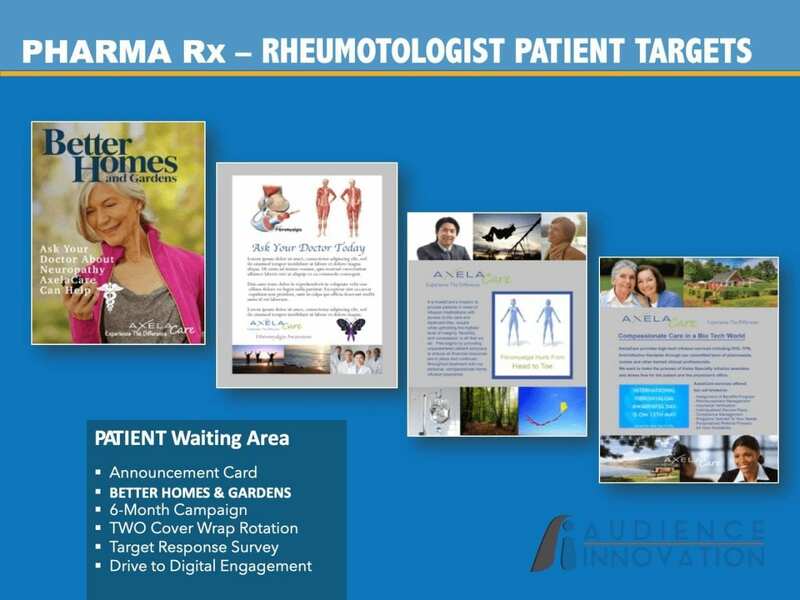 Adept marketers engage our magazine cover wrap & interactive digital platforms to drive tangible impact with their vital patient targets and, integrated with online platforms, to cultivate and engage patients at physician’s point-of-care. 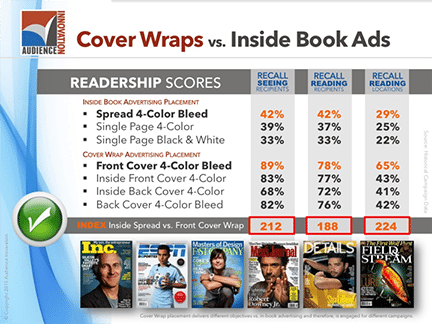 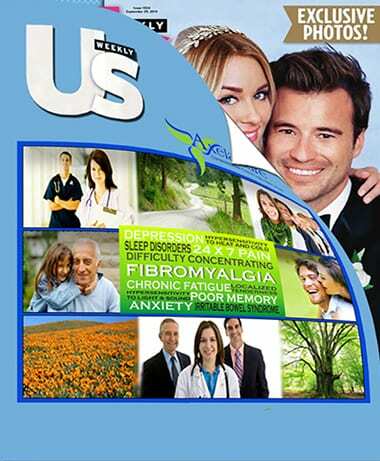 What are Point-of-Care Magazine Cover Wraps? 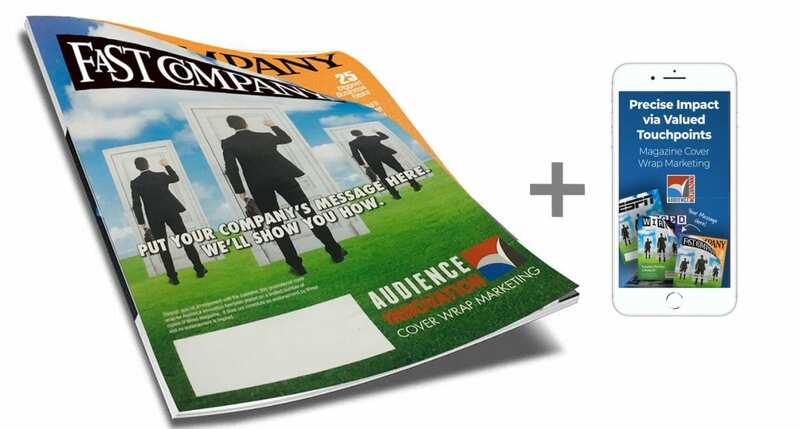 When targeting point-of-care, scaled magazine cover wraps are a proven solution that attaches your educational content to any of our premier magazines, delivering to matched waiting rooms. 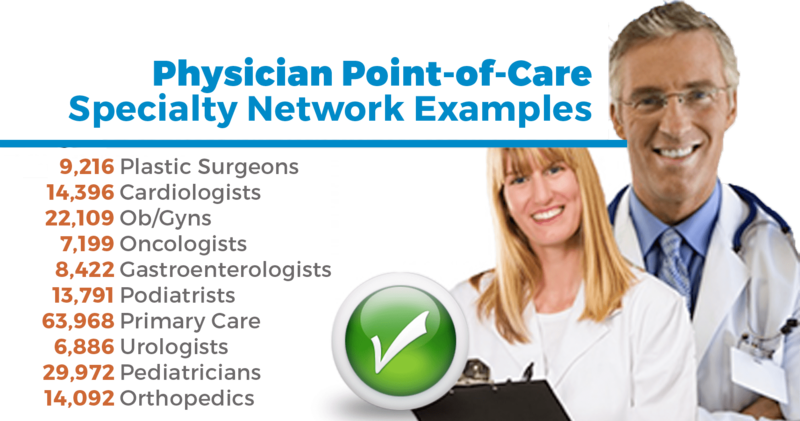 Choose from our 50+ physician networks or, we’ll build a precise network to match your exact physician filters. 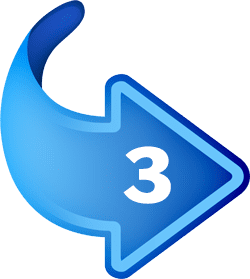 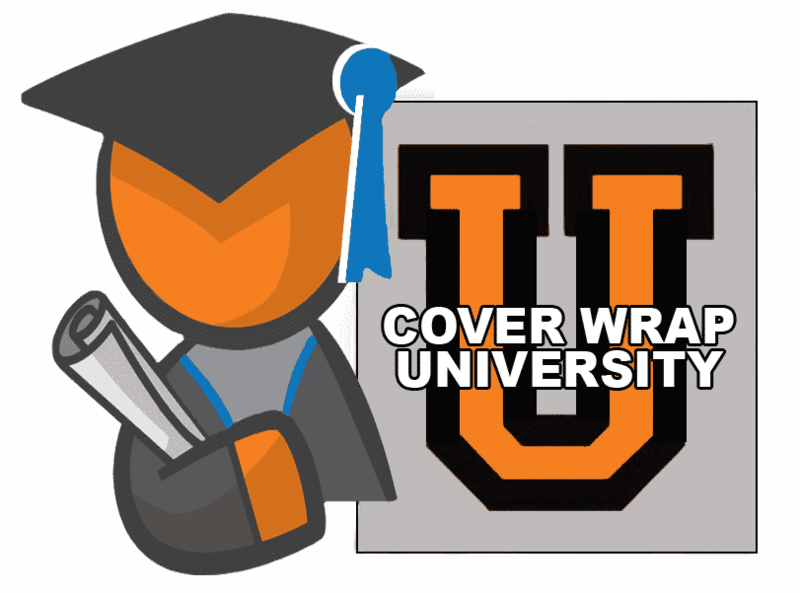 What are Point-of-Care Cover Wraps? 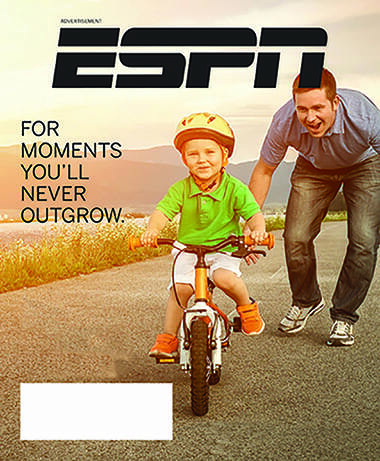 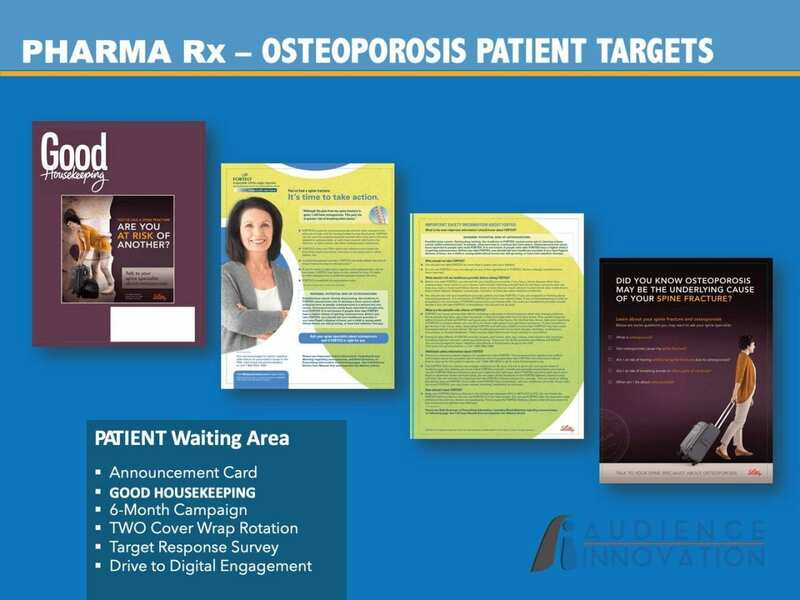 When targeting point-of-care, scaled cover wraps are a proven solution that attaches your Rx educational content around any of our premier magazines, delivering your messages to waiting rooms matched to your network. 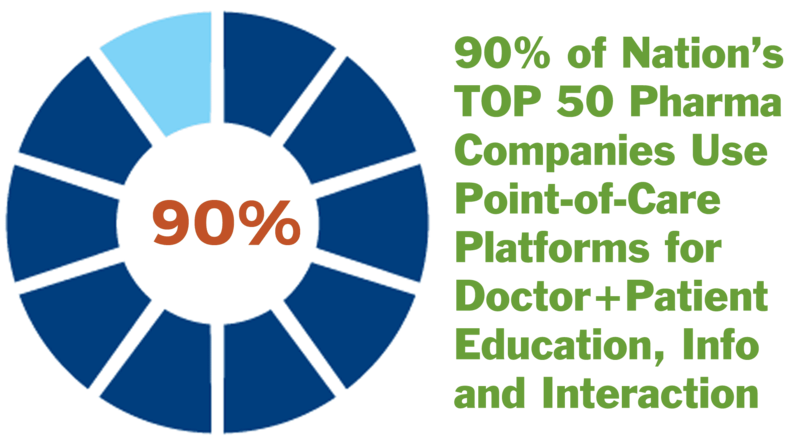 Choose from any of our 50+ physician networks, or we’ll build a precise network to match your exact target. 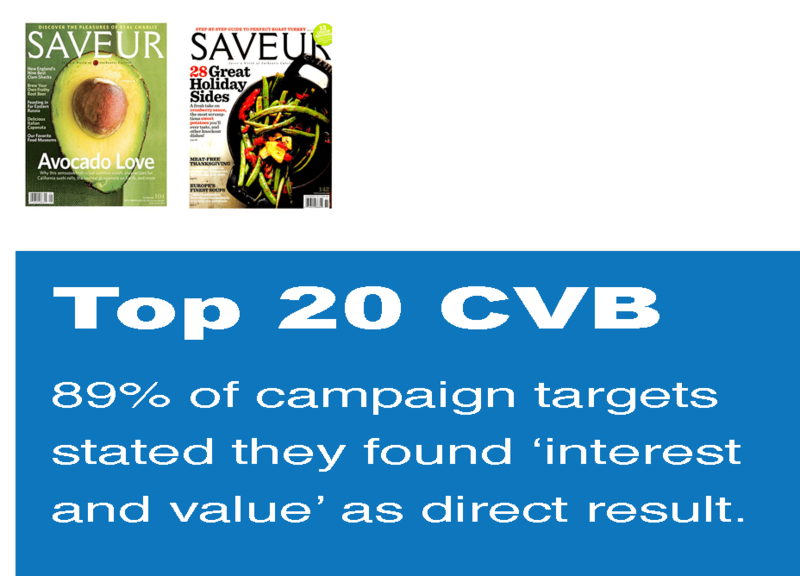 Tangible targeting provides the most effective impact. 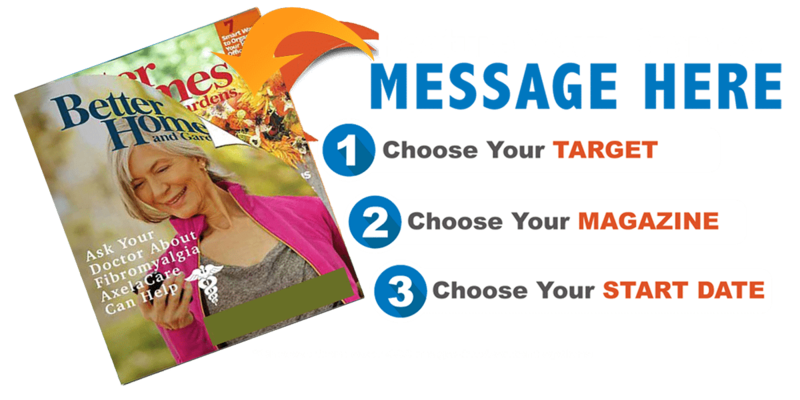 It’s a gesture of education, and lets them know how much you care about their health. 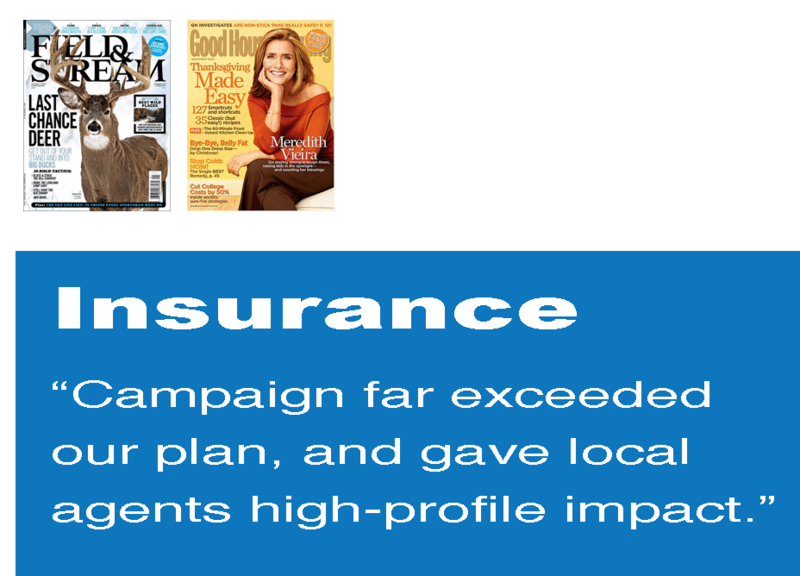 Well-respected content lifts your pharma’s brand and, for campaigns spanning 3-months, 6-months or year-long patient impact value. Platforms deliver high-value touch points that are appreciated by your patients.  As a result, they remember you and take action at a higher rate. 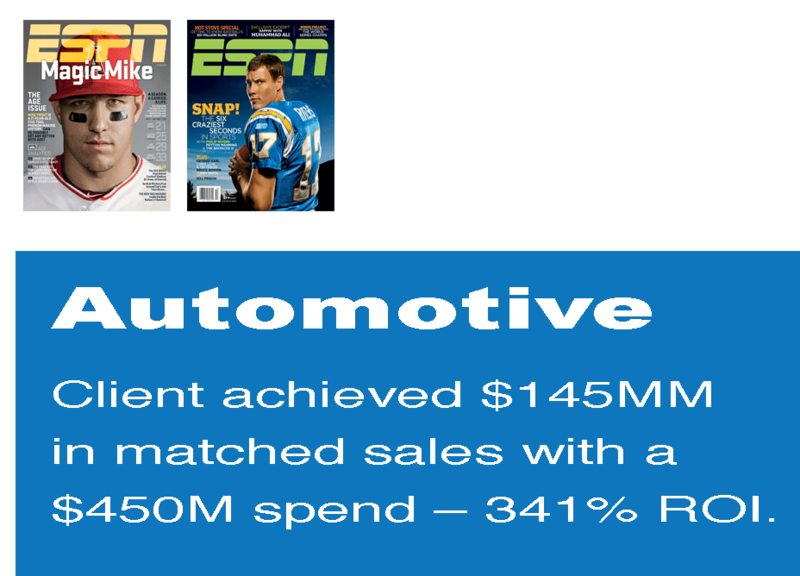 Tangible targeting provides the greatest impact. 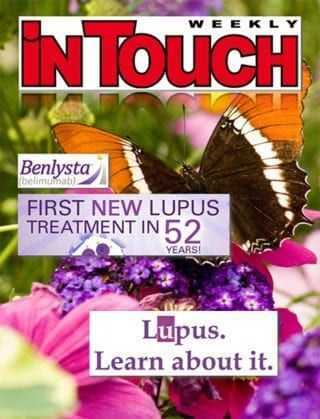 It’s a gesture of education, and lets them know you care about their health. 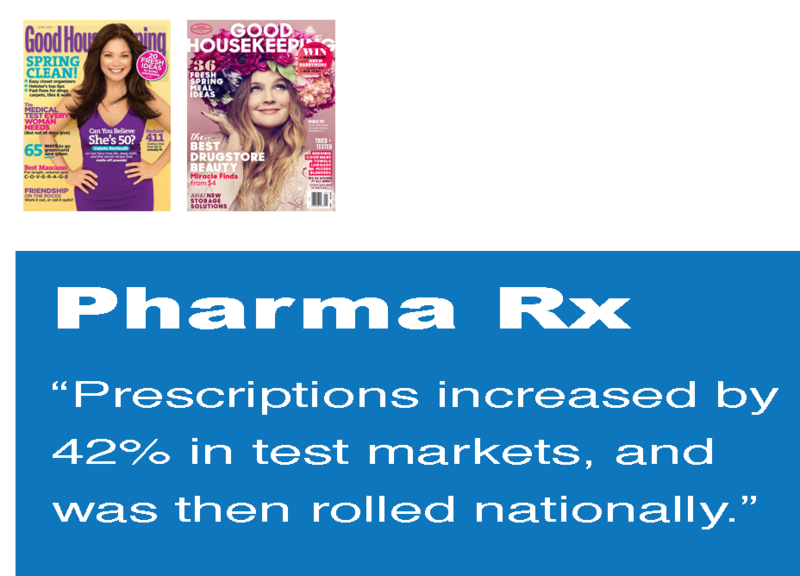 Well-respected content lifts your pharma’s brand and, events spanning 3-months, 6-months or year-long patient impact. 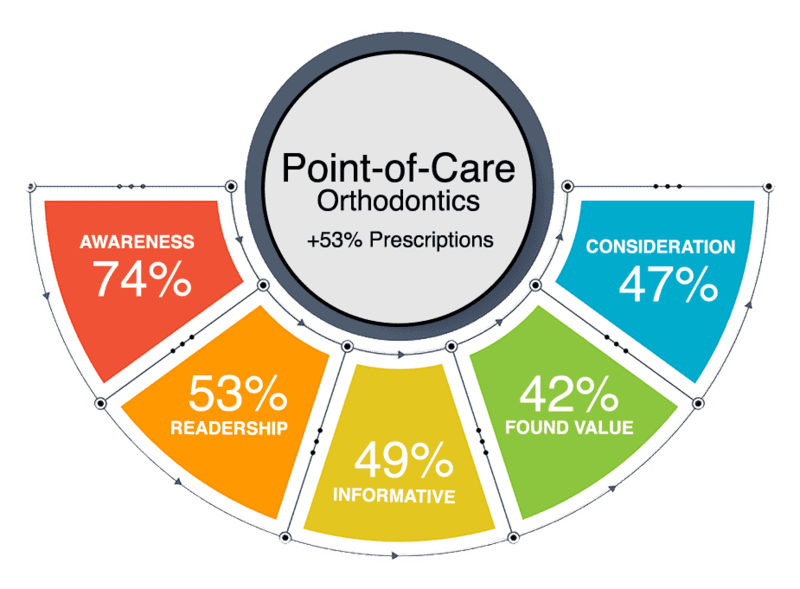 Our platforms deliver a series of high-value touch points that are appreciated by your patients. 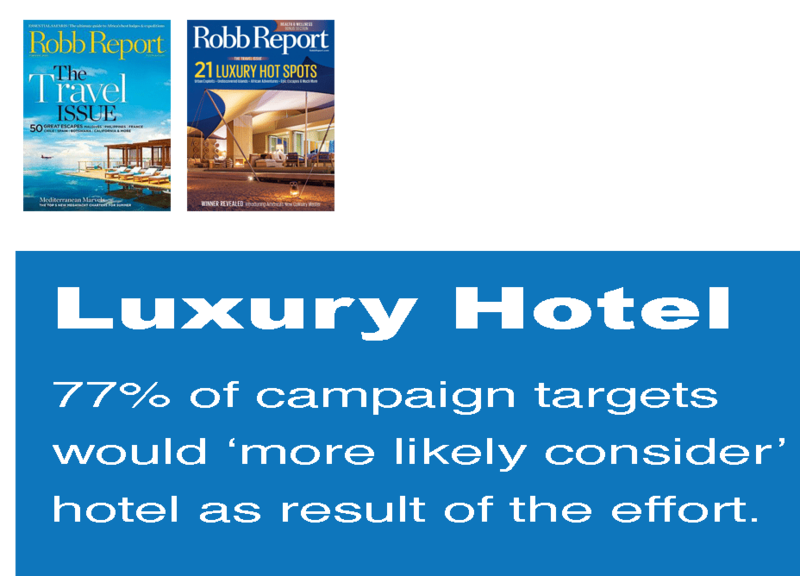 As a result, they remember you and take action at a higher rate and ROI result. 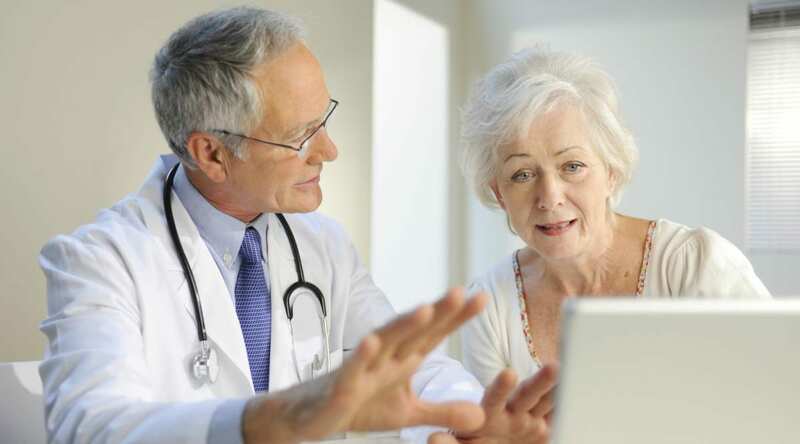 We offer the flexibility of an entire network, and grant 100% network exclusivity, or any portion for your exact footprint, in any geo/demo combination of physician-type filters for most effective POC efficiency. 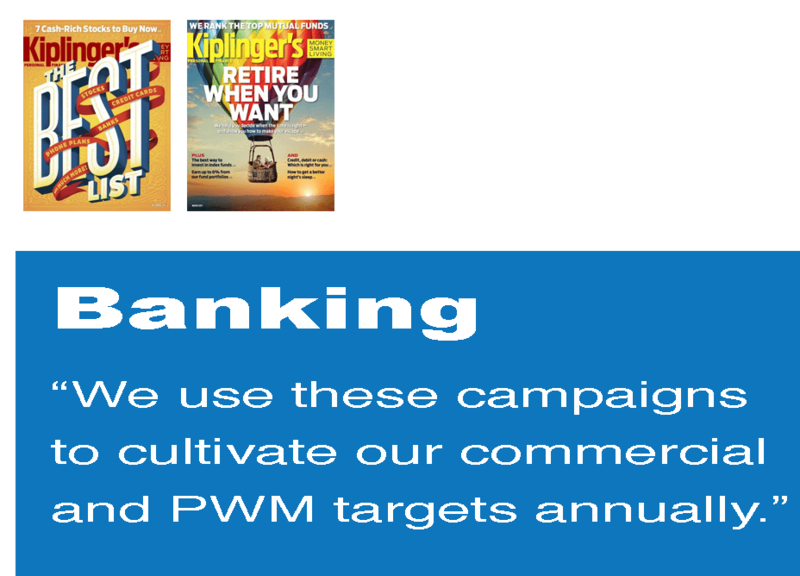 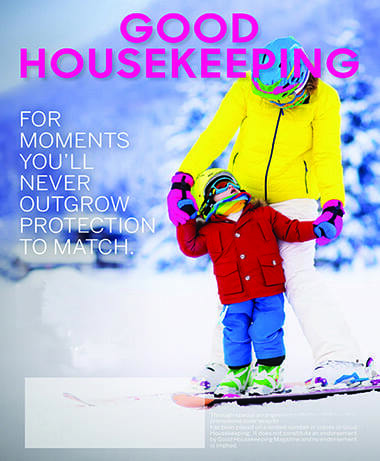 View our CASE STUDIES and CAMPAIGN EXAMPLES for more examples. 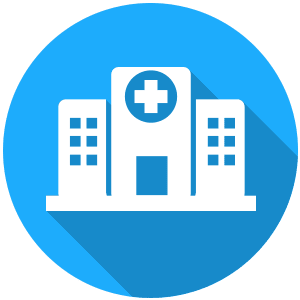 We offer the flexibility of choosing an entire network, and grant 100% network exclusivity, or choose any portion of a network for your exact market footprint, in any geo/demo combo of physician-type filters. 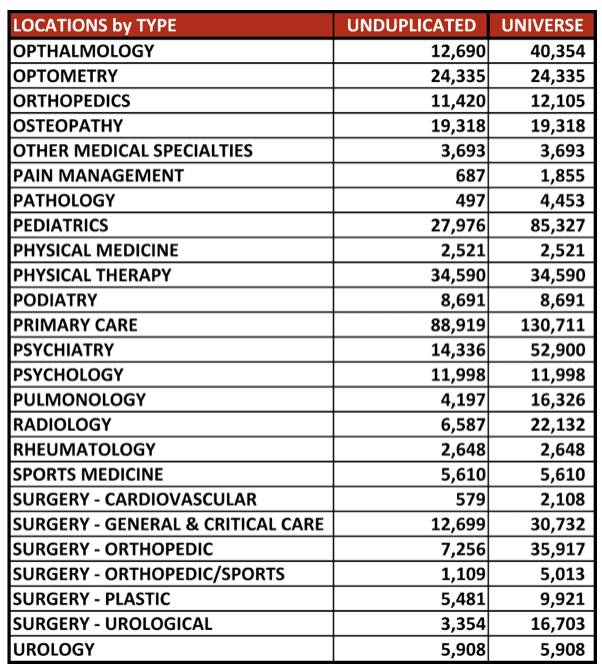 Counts are not updated here constantly, so please request new physician counts when you’re ready. 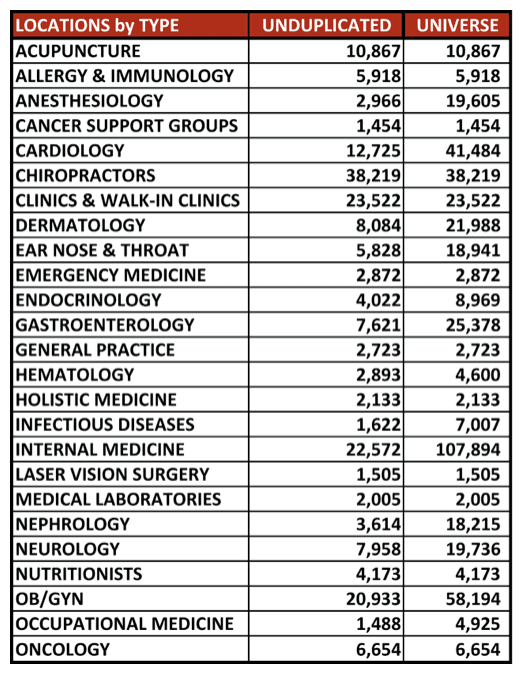 Counts are not updated here often, so please request new physician counts. 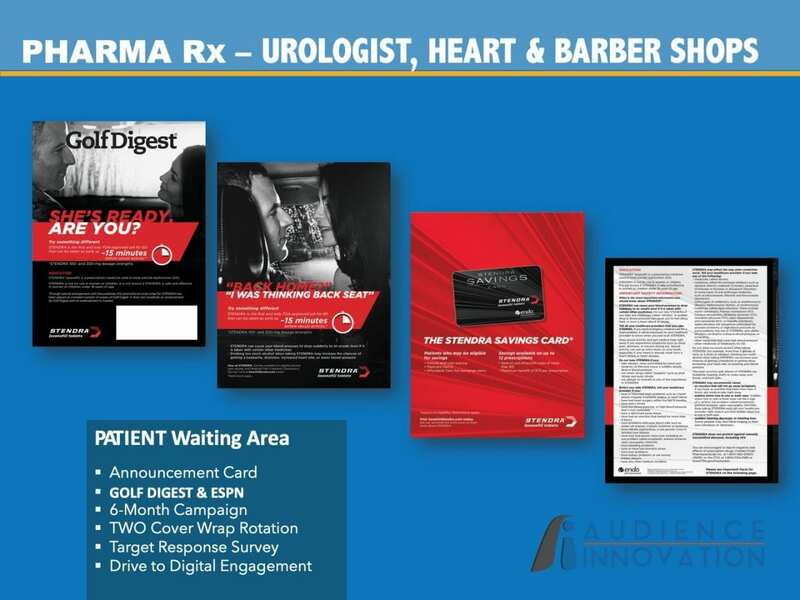 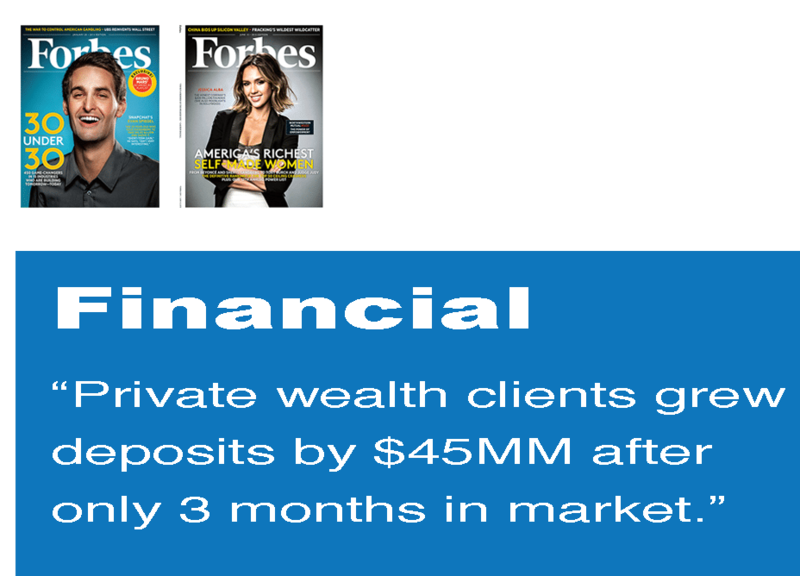 Clients choose from our large portfolio of 400+ pre-existing content partners (magazine publishers), to target any exact matched list of POC physician’s office waiting rooms. 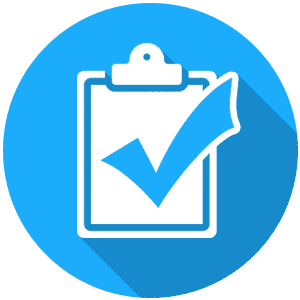 All campaigns are Sunshine compliant, and AAM audited. 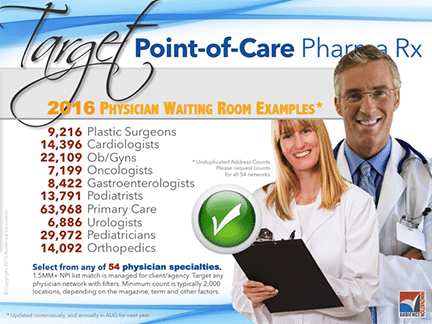 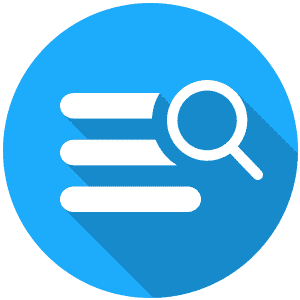 Clients choose from our large portfolio of 400+ pre-existing content partners (magazine publishers), to target any exact matched list of POC physician’s waiting rooms. 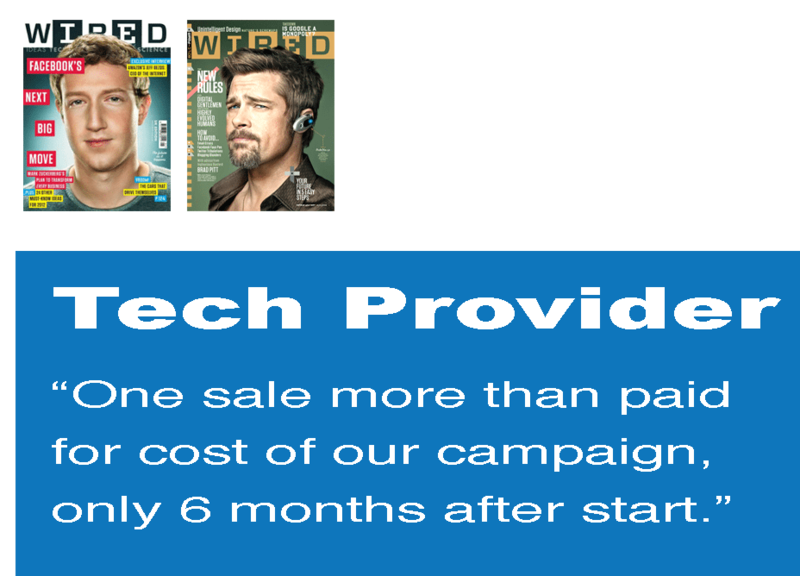 All campaigns are Sunshine compliant, and AAM audited. 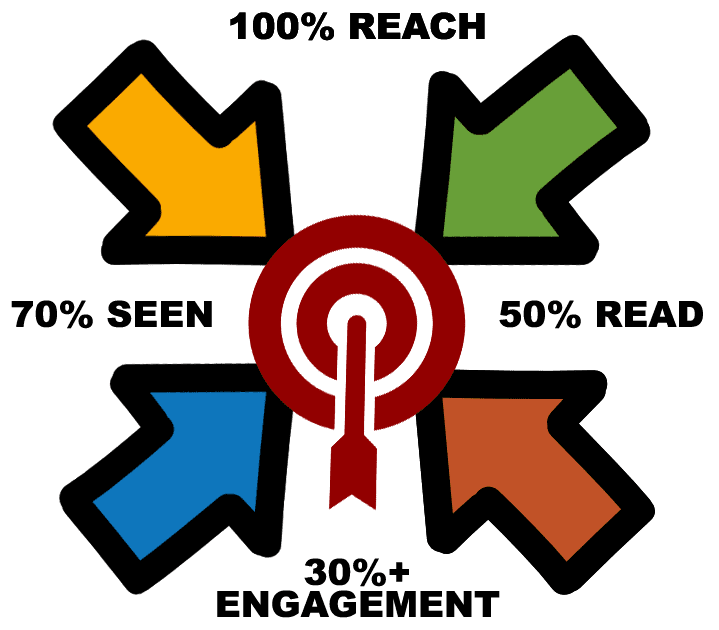 We first align network definition, scale and scope. 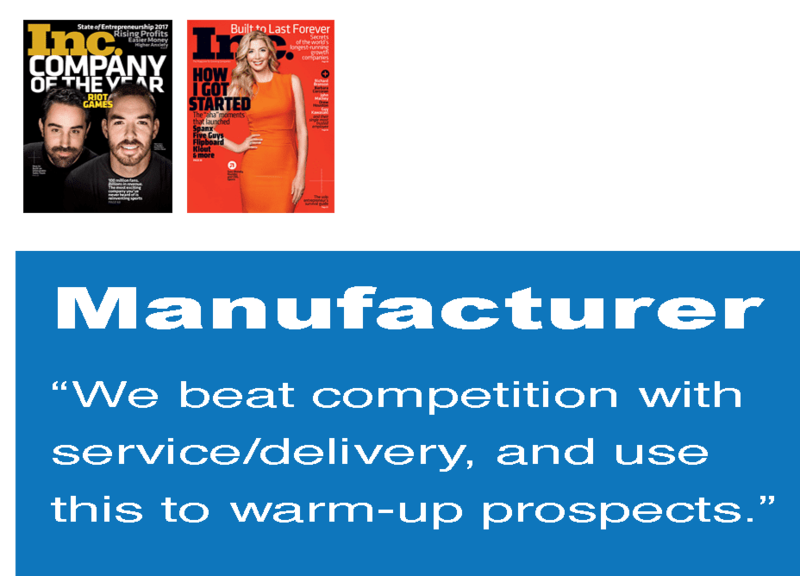 Then determine start date, timing and content. 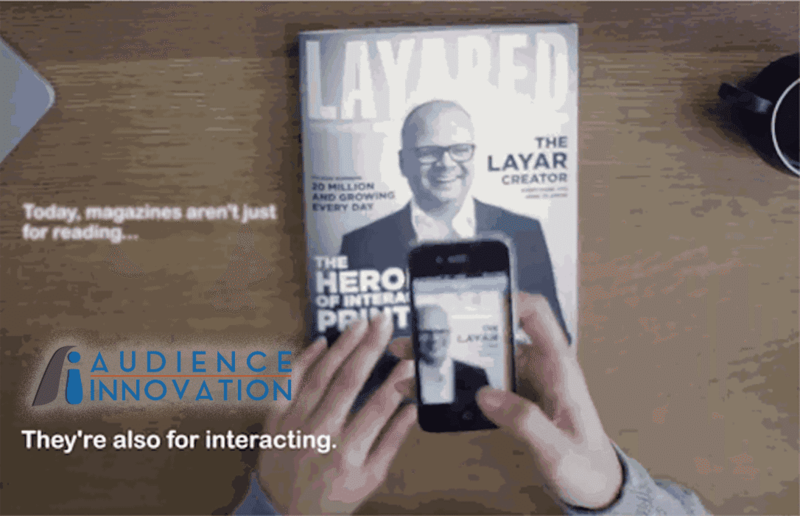 It’s a gesture of education, tangible touch points elevated with high-value co-branded content. 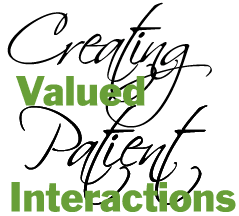 You can expect a location-driven asset that performs, and patients open to dialogue. 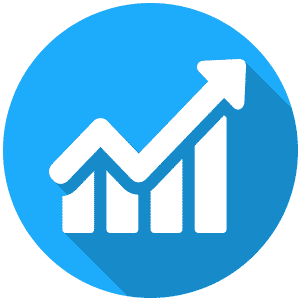 We first align network attributes, scale and scope. 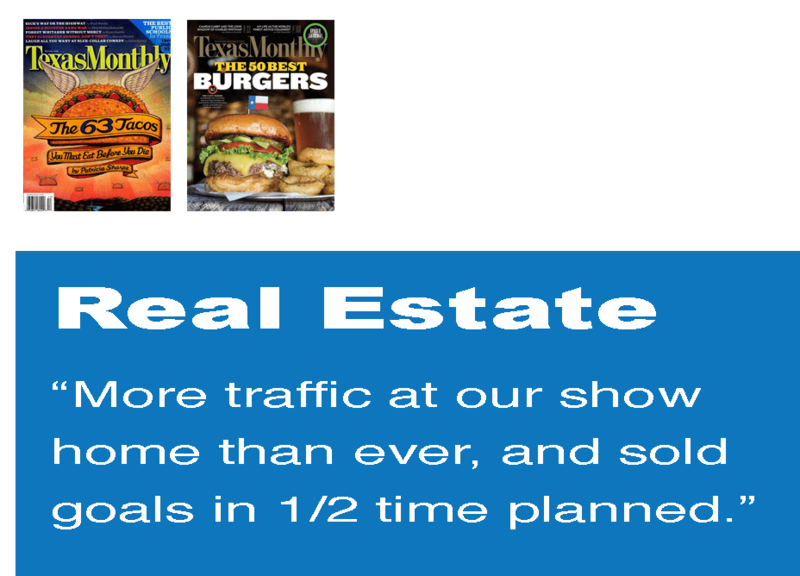 Then determine start date, timing, and content. 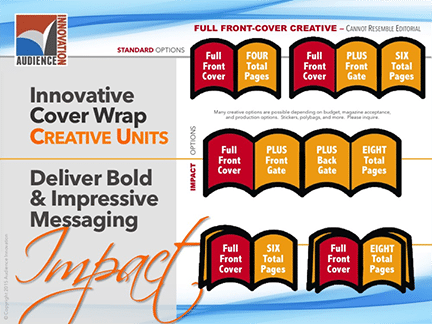 It’s a gesture of education, tangible touch points elevated with highly valued co-branded messaging. 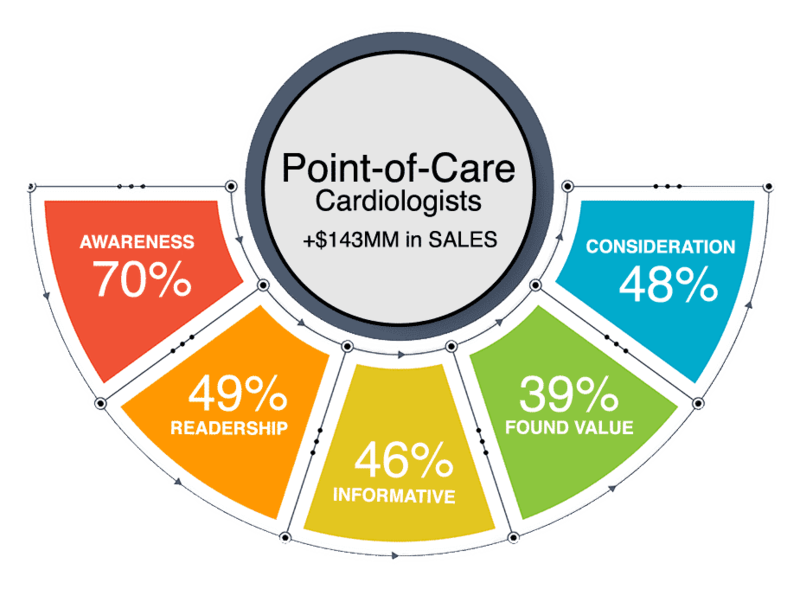 You can expect a location-driven asset that performs, and patients open to physician dialogue. 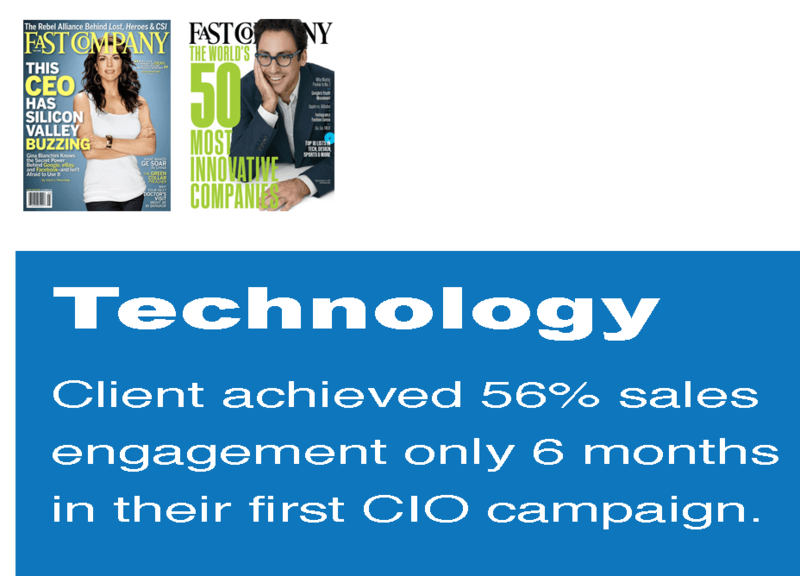 Valued tangible touch points sequenced over time enhance brand recognition and energize patient engagement. 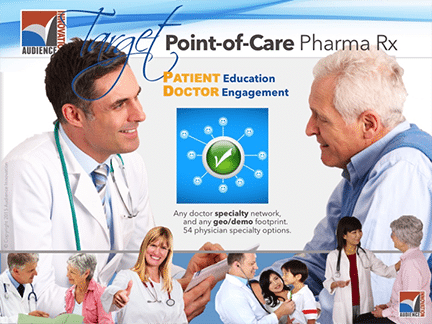 Tangible touch points cultivate an intrinsic education with your vital patient and physician/nurse audiences. Pharma platforms deliver better results when combined with strategic tangible touch points focused on key locations. Valued tangible touch points sequenced over time enhance brand recognition and energize patient+doctor engagement. 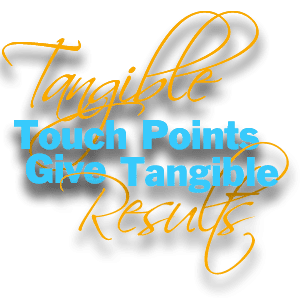 Tangible touch points cultivate an intrinsic education with your most vital patient, physician and nurse audiences.